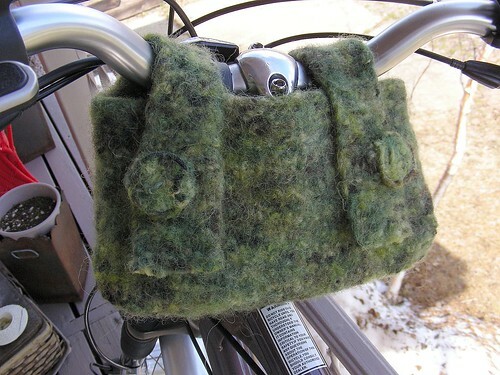 Felted Handlebar Bag, originally uploaded by ann14989. Normally we're not big fans of 'Bicycle Accessories' - it usually involves people producing products of little use in the interest of profiting off of a trend. But 'personalising' your bike is a major activity in Copenhagen and this fine, hand-made bicycle bag is a brilliant addition to the bike. Read more about the bag and the designer on My Electric Ride.